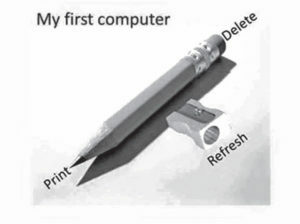 and I think I want to return to it. We have just created a new mail list program and it has been rather interesting to watch it take over from a mail program that I bought in 1994 “My Mail List” for $25. I don’t want to tell you the cost and the man hours that we’ve invested in this new program. Sean Dockry our web guy and Evonne have it fine tuned now after a lot of midnight oil and a case of Mike’s Margarita Drink. Put this on your schedule – Fire Truck Swap Meet coming up Sunday, September 16, 2018. The 16th Annual Northern California Fire Equipment and Memorabilia Swap Meet at Sacramento Metro Fire Station 21 Drill Grounds, 7641 Greenback Lane, Citrus Heights, CA, 8am-1pm. It’s always fun to venture into a new area of collecting stuff … Call Gil for all the info at 916-408-3710. Tell Gil that I sent you and that you can get in free and even get a free swap meet space … as long as it’s Fire Department related items! Free entry for everyone! 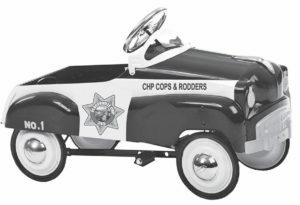 Here’s a real neat, “One Off,” Placerville CHP pedal car cruiser that will be raffled off at the Cops and Rodders Show, Sept. 29th at Cameron Park Airpark … One very cool show on the taxiways, where the red lights and sirens are not behind you … just flying over you. Also, I’m happy to report that Cops & Rodders, “worker bee,” Bruce Risley has new hearing aids. 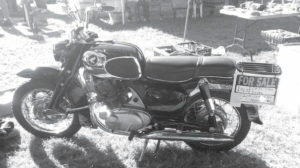 Did you miss attending the Fort Sutter MC Club Swap Meet held at the Dixon Fairgrounds on Sat., June 9th … you could have had this really nice 1963 Honda 305 Dream for just $3,000, plus. a selection of BSA’s, Triumphs, Indians, and many many Harleys – always a great show and swap meet … be sure you go next year – watch for info in the Cruisin’ News Calendar. Boy, do I have a super deal for you … escape the congestion of the major Northern California cities like San Jose, Pleasanton, Modesto, Santa Rosa, and Sacramento. Swap your home, hot rod, and a few dollars for a REAL gold mine in Sierra City. The deal comes with a real old Country Store, a beautiful huge apartment on top, and includes ownership of a major car show that overflows and fills up this “wide spot” on Highway 49, known as Sierra City. 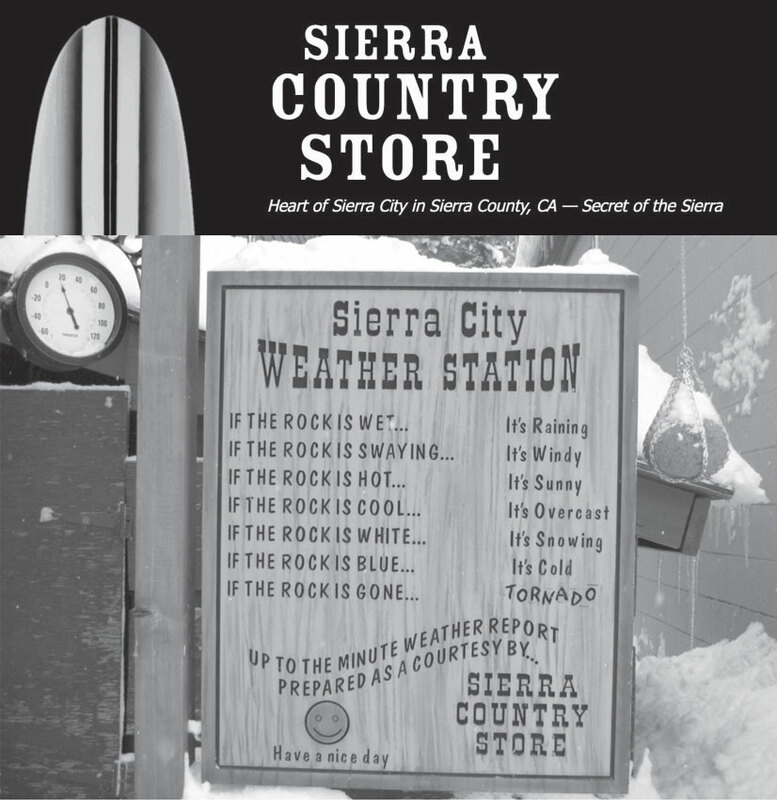 Contact Larry at 530-862-1560 for a tour, a free Larry HamBurger and a chance to do a burn out on main street … and you get to see the Sierra City Weather Station. 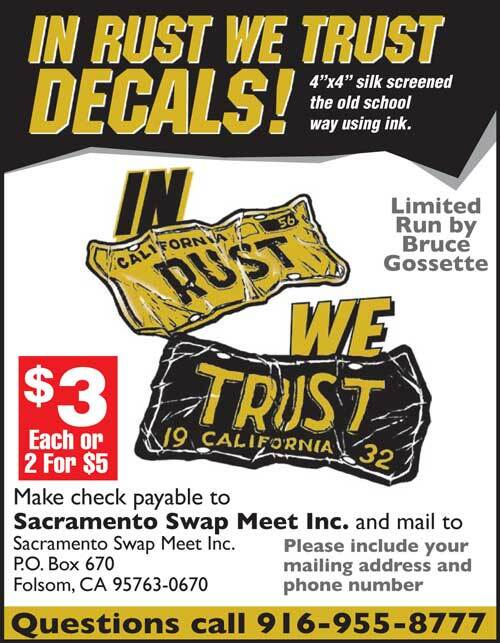 For only five dollars we reach out and sell your car and or parts via a printed newsletter that’s not online and reaches real rusty, crusty guys who buy and sell vintage cars, bikes and lots of rusty stuff. See the ad form on page 38 and if you buy an ad in August and it doesn’t sell … we’ll will rerun it in Oct. for free. Certain restrictions apply. 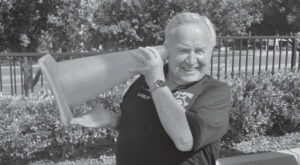 Many of you might remember “Agent X,” aka Ralph Lawrie of Folsom, a retired Allstate agent, who started selling insurance at the Arden Fair Sears store, (next to the Sears popcorn machine). 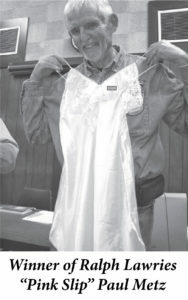 Ralph announced to his club that he was thinning his collection of classics and would hold a drawing and give away a pink slip at the Model A Club Meeting. Yep ,the jokester is at it again. All the members put their name in a hat and Ralph had one of the club members wives pull a name out of the hat … and yes Ralph did give away a very nice “Pink Slip.” Another “gotcha” from Ralph! Someday, we old folks will use cursive writing as a PIN secret code. Oh wait, I already do according to Evonne, no one can read my handwriting.